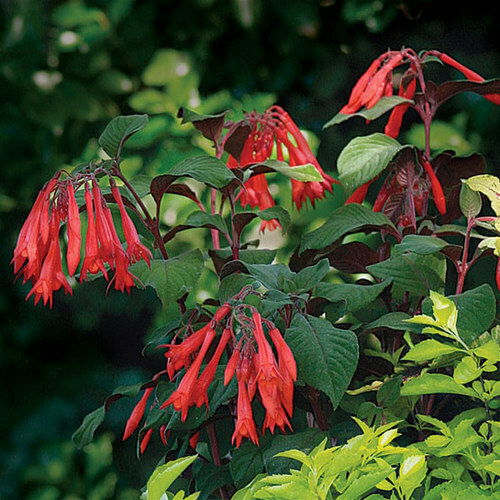 This distinctive genus bears pendulous, tubular flowers, which often have sepals and reflexed tubes of one color, and petals of another. Flowers may be single, semi-double, double, elongated, or erect. 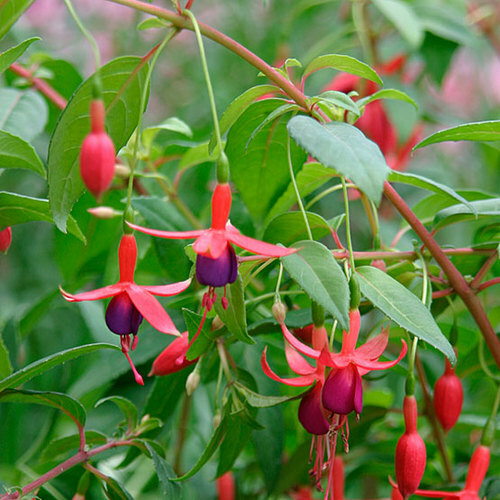 Noteworthy CharacteristicsFuchsia performs well in a lightly-shaded border, in hanging baskets, as topiary, or as a hedge in frost free regions. 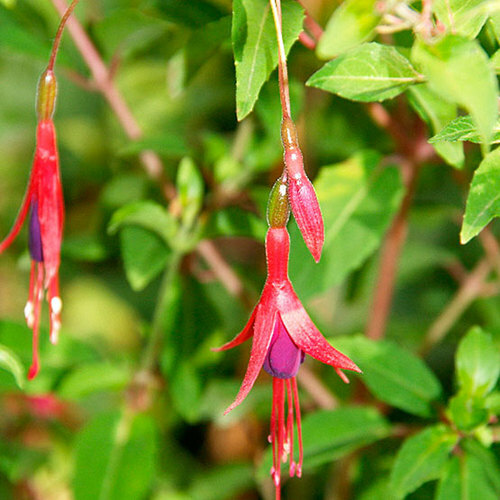 These plants may be used as annuals or left to grow into natural shrub or tree forms. 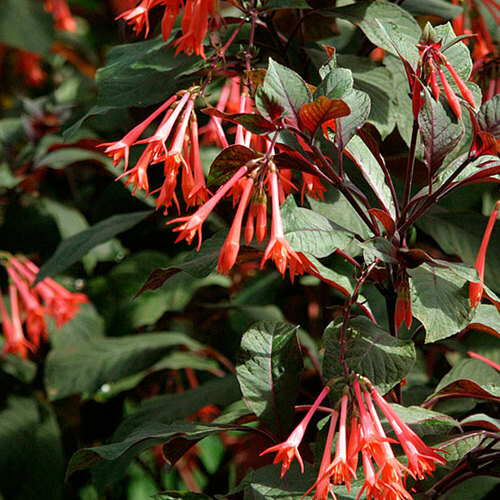 CareGrow in fertile, moist but well-drained soil in full morning sun to partial afternoon shade. PropagationSow seed in spring. Take softwood cuttings in spring, and semi-ripe cuttings in late summer with bottom heat.